According to AT&T CEO Randolph Stephenson at a UBS Communications Conference yesterday, the carrier is six months ahead of its contracted FirstNet deployment schedule, and the public-safety initiative will result in increasing the capacity of its network by 50% by the end of 2019. 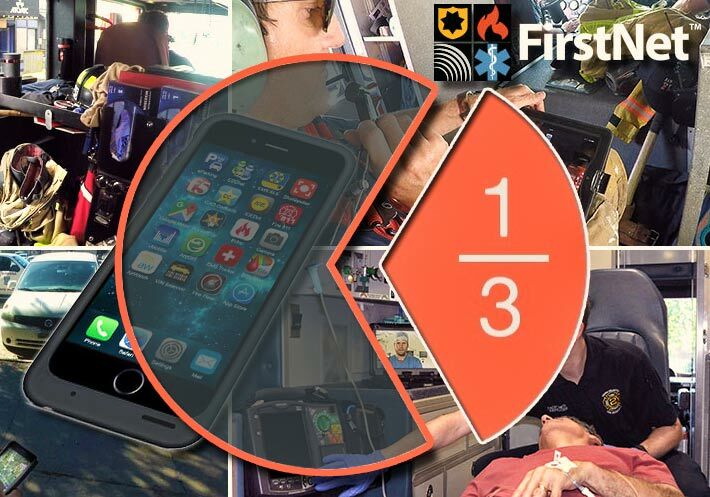 “We made a full-court press to pursue the FirstNet bid and win it. And there were so many variables to it that drove us to do this. First and foremost, [in] the first responder community we have a very low share of that market. And the ability to build a nationwide network and pursue that market opportunity was really, really important,” said Stephenson. “But here’s what’s important. We have also over the past few years accumulated a significant portfolio of spectrum. And to deploy that spectrum requires you to climb every cell tower. But while we’re climbing every cell tower to deploy FirstNet we’re doing two other things. We’re turning up not only the FirstNet spectrum that we got, but all of this other spectrum that we’ve acquired over the past few years,” said Stephenson. “So, [with] one climb, you’re getting the FirstNet capacity put in place, the tower ready for FirstNet, you’re putting up 5G antennas, and you’re deploying all this spectrum,” he said. He said about 3,600 US agencies have signed up for FirstNet and some 250,000 subscribers are on that network. Stephenson said by the time AT&T gets to the end of 2019, they will have increased the capacity on AT&T’s network by 50%.